They thought they had escaped. They were wrong. After fleeing the Branch with Sam, Cas, and Nick, Anna is trying to make sense of the memories resurfacing from her old life. At the same time, she's learning how to survive in hiding, following Sam's rules: Don't draw attention to yourself. Always carry a weapon. Know your surroundings. Watch your back. Then a figure from Anna's childhood reappears. Is it a Branch setup, or could it be the reunion Anna has hoped for? Uncertain of where her loyalties lie, Anna must fight to learn the truth - before she is betrayed again. Ultimately, the answers hinge on one question: What was the real reason her memories were erased? Jennifer Rush delivers a thrilling sequel to Altered in a novel packed with mysteries, lies, and surprises that are sure to keep readers guessing until the last page is turned. "Action-packed...[Anna's] interactions with the boys...keep the story moving quickly, along with a steady unfolding of revelations and events." ""Publishers Weekly "on" Altered""" "A rapid-fire thriller....Fans of the Hunger Games and Maze Runner series seeking more dystopian titles would likely enjoy this new adventure." ""Booklist "on" Altered""" "Heart-racing action complete with identity twists, mystery, and romance born from the core of the story make this unputdownable." 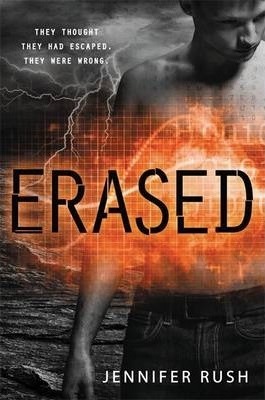 "Lissa Price, international bestselling author of "Starters "on" Altered""" "A thrill ride full of twists, secrets, and betrayals. I loved it. More, please!" "Kim Harrington, author of "The Dead and Buried "on" Altered""" "Within minutes, this medical-engineering thriller will have readers glued to their seats....Riveting."